Using a heuristic optimization module based upon Variable Neighborhood Search (VNS), the system AutoGraphiX’s main feature is to find extremal or near extremal graphs, i.e., graphs that minimize or maximize an invariant. From the so obtained graphs, conjectures are found either automatically or interactively. Most of the features of the system relies on the optimization that must be efficient but the variety of problems handled by the system makes the tuning of the optimizer difficult to achieve. 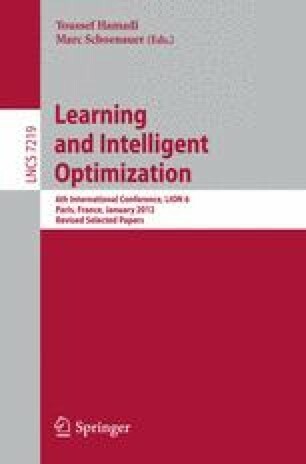 We propose a learning algorithm that is trained during the optimization of the problem and provides better results than all the algorithms previously used for that purpose. The authors gratefully acknowledge the support from NSERC (Canada).